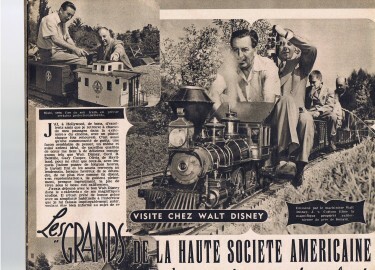 Any forum on films, the film industry or Hollywood would never be complete without mention of Walt Disney. Walt Disney strides like a colossus among the so called giants of the industry and occupies a position in film history that is unique. Starting out in the 20s he made his films and went out and marketed and promoted them so successfully that by the very early fifties his name was known the world over – a name that is synonymous with movies - and he had also developed a knowledge of every aspect of film making. However what he also had was an uncanny feel and instinct for what his audience wanted. I do think that England played in big part in the success of Disney because up until 1949 Walt had continued successfully to make animated features – and some classic ones at that – but the company seemed always to be financially stretched. Things improved quite a lot when, after the war he came to England and made his first live-action film Treasure Island – see earlier post – and followed this up with another even more successful one The Story of Robin Hood and His Merrie Men. Both of these were made at Denham Film Studios. Then came The Sword and the Rose and Rob Roy. Back in Hollywood he then made 20,000 Leauges Under The Sea and this proved a really big box office hit for Walt Disney. It was those films he made here in England though that coincided with the company becoming much more stable, effectively turning round its fortunes. They were also very good films – well the first two anyway. 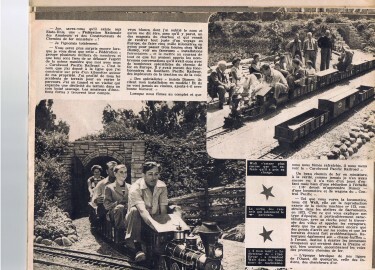 One thing about him though , as Ken Annakin mentions, is that he tended to leave them to get on with the filming and didn’t stay around too much at all in the studios so his presence would not be a distraction. However he did look at the so called ‘Rushes’ of the previous day’s filming to be sure it was what he – and more importantly his audience – wanted. Fast forward a few years now after Ken Annakin had directed four films for Disney - Robin Hood, The Sword and the Rose, Third Man on the Mountain and Swiss Family Robinson – all very successful with Swiss Family Robinson being a real blockbuster in financial terms alone and he was then looking at a project with Ken Annakin to make a film centred on Sir Francis Drake and his exploits to be called ‘Westward Ho’. With this in mind Walt and his wife Lilian had again travelled to England and Ken and his wife Pauline had invited them to their home in Onslow Square in central London for a dinner party one evening. It had been a very pleasant evening and they had been chatting about the film and Walt had been telling Pauline of his early efforts in cartoons. The film Westwood Ho was to be made the following year in California and Hawaii although nothing specific had been agreed. The wine had flowed quite well also throughout the evening . At around 11 o clock Walt’s limousine arrived to transport them back to their hotel. They had all said their goodbyes but as Walt’s wife Lilian began descending the steps outside she teetered and fell, sprawling on the ground. Ken rushed to help pick her up but Walt took over quickly. Brusquely he pushed Ken aside and led her limping to the car. As Walt waved them away and closed the door, Pauline turned to Ken and said ‘You’ll never work for Walt again’. ‘Don’t be ridiculious’ Ken said ‘ We’ve practically made a deal on ‘Westward Ho’.